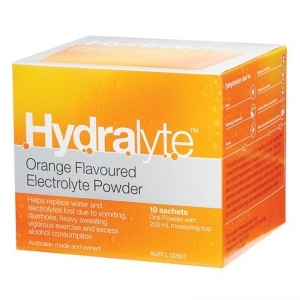 Compact and light to carry, Hydralyte Electrolyte Powder sachets are a family first aid necessity. 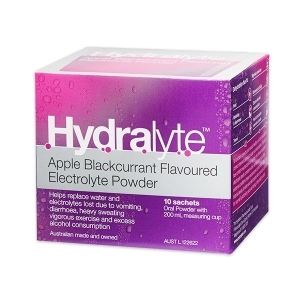 Each pack comes with a convenient 200 mL measuring cup. Hydralyte may be taken on the first signs of fluid loss due to vomiting and diarrhoea and may also be taken to help manage dehydration due to the loss of fluids through heavy sweating. This can be caused by a hot or dry environment, fever or strenuous exercise.